Huatulco is a very young resort area located on the Oaxacan coast comprised of nine beautiful bays and 36 white sandy beaches at the edge of the indigo blue waters of the Pacific. This southern paradise is bordered by the magnificent Sierra Madre del Sur that completes the landscape of the beach with its superb mountains. In the nine bays of Huatulco: St. Augustine, Chahacual, Maguey, El Organo, Santa Cruz, Chahué, Tangolunda, Conejos, and Cacaluta, you will find spectacular landscapes, perfect for extreme sports, ecotourism, alternative tourism, diving, mountaineering, and bird watching. In the sixteenth century, its beaches were witness to the disputes and raids by pirates and buccaneers such as Francis Drake or Thomas Cavendish who not only snatched all that they found, but they also fell in love with the incredible beauty of the place where they anchored on more than one occasion. In 1831, at the beach Playa La Entrega, located in the Bay of Santa Cruz, took place one of the most bitter episodes of national history: the betrayal and surrender of one of the leading figures for Independence of Mexico, Vicente Guerrero. Today, Bays of Huatulco is characterized as an international cruise destination that has an excellent hotel infrastructure and services of 3, 4 and 5 stars, a wide variety of restaurants where you discover or rediscover the exquisite Oaxacan cuisine, nightclubs, an 18-hole golf course as well as the spectacular Parque Nacional Huatulco, National Park where more than 11,000 hectares have been declared a natural protected area. 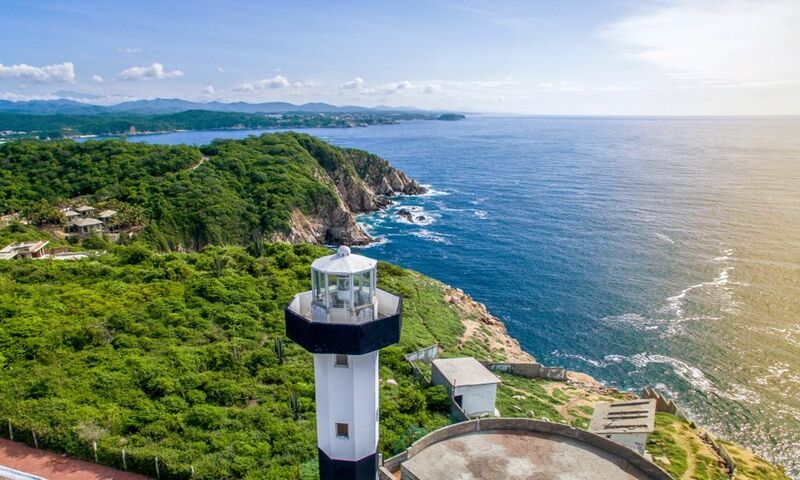 In 2005, Huatulco was the first destination in America to obtain a Green Globe International Certification, the only certification program for sustainable tourism in the global industry of travel and tourism. The Bays of Huatulco are located on the coast of Oaxaca state toward the end of the Sierra Madre del Sur. They extend over 35 km of coastline located between the mouths of rivers and Coyula and Copalita. Huatulco is accessible by air arriving at the International Airport of Huatulco located 19 km from the hotel zone, receiving direct flights from cities in the United States, Canada and the rest of the country. By land it can be reached by taking Federal Highway 175 Oaxaca - Pochutla and after Federal Highway No. 200 at the crossroads of Puerto Escondido- Pochutla -Huatulco. 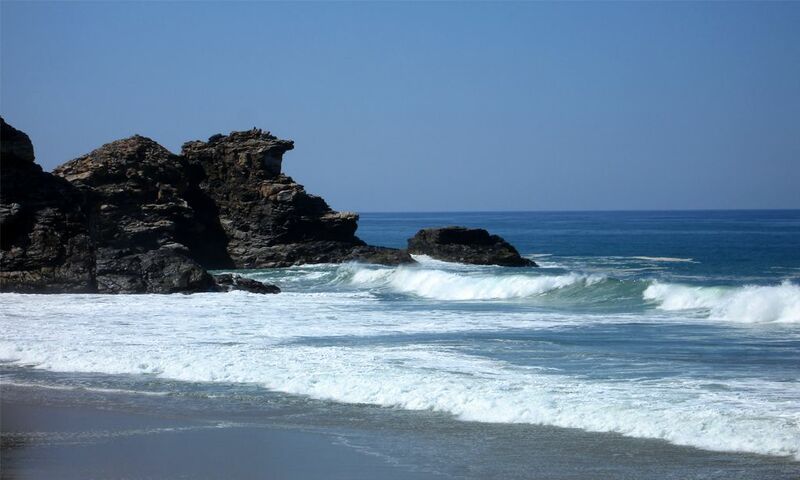 Huatulco has a fortunate climate considered sub-humid tropical, offering visitors sunshine most of the year. Only 40 rainy days are expected annually. The rainy season is from late June to late September. The temperature ranges from 18°C to 38°C with an average of 28°C. Being a beach destination it is essential wear: swimsuit, sunscreen, insect repellent, flip flops, light clothing such as, shorts, tank tops, sandals, sneakers, hat. During the winter season it is advisable to wear light sweaters. Ecotourism activities: Observing flora and fauna, Watching sea turtles, Mountain biking, ATV, rappelling. 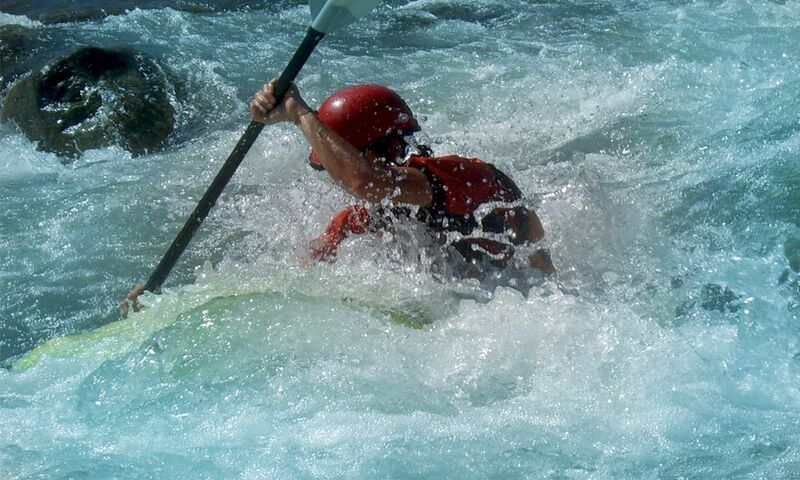 Water sports: windsurfing, surfing, diving, rafting, snorkeling, jet skiing, sailing, sea kayaking and more, Sport fishing. Surfing (Playa La Bocana, Barra de la Cruz between Huatulco and Salina Cruz). Golf. The Crucecita Church: The Virgin of Guadalupe, world's largest embodied in its ceiling, Museum and Oaxaqueñas Craft Shop. Tour of the Bays. Visiting the nine bays of Huatulco San Agustín, Chahacual, Maguey, El Organo, Santa Cruz, Chahué, Tangolunda, Conejos y Cacaluta. Copalita Eco-Archeological Park, Tour to the Waterfalls of Copalita, , Pre-hispanic Temazcal. Horseback Riding, Visiting coffee farms. May: International Sailfish Fishing Tournament. Huatulco Triathlon. Music Festival for the Earth.